Greta design doesn't take up a lot of room kitchen sink counter top. Easy to operate. Pretty handy to have on sink with small shelf (or no shelf.....pedestal sink). 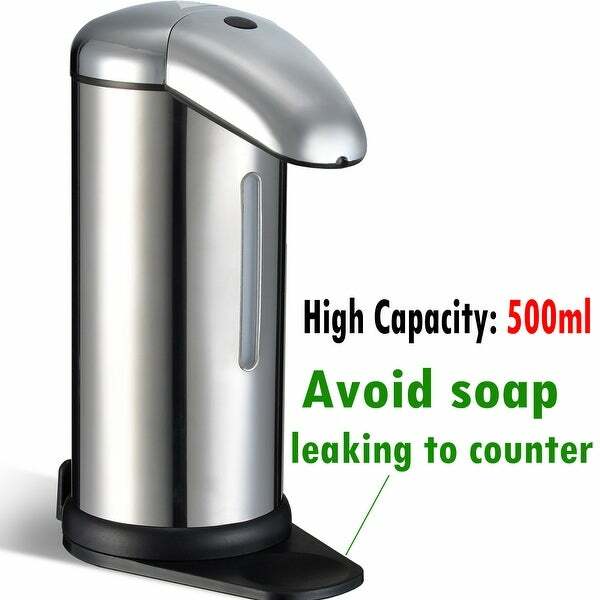 Dispenses generous amount of soap! FYI......use richer/creamy type soap. Plastic, but looks okay. Our daughter is a germ a fob so this is great for her. She avoids having to touch faucet , soap bottle to get ands clean. Bigger then I thought. Bottom place is too big to put at the corners of my sink. 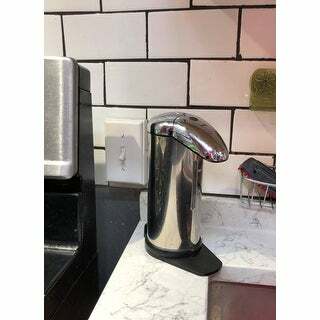 Soap dispenses great. I need help returning this item. It looks very cheap, not metal but cheap plastic, will chip soon I am sure. Please help me return the item. I put it back in box the minute I took it out.